A common refrain heard during our social media outbursts is what the founding fathers wrote, intended, contemplated and spoke. For some resorting to the refrain, it must be an easy way out – to deflect to those whose words we hold dear but are afraid to read. 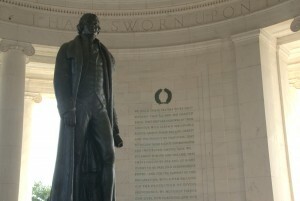 For others, resorting to the refrain might be tough, knowing that everything we hold as our own guiding principles is countered by the very words written by the founders. I love traveling to Washington DC. During the many years working as a government contractor, and recently, heading to DC as a part of a lobby effort for one thing or another I hold dear. Throw in the two family vacations to the nation’s capital, I probably have 30-40 trips down. On most, I’ve tried to follow a routine – dinner around Dupont or Adams Morgan, brisk walk toward the White House, then Lincoln Memorial via the Vietnam War Memorial, the Korean memorial, Roosevelt then Jefferson, and finally the World War II memorial before heading back to the hotel. It takes about four hours and, when performed alone, stands for a meditative time. Having done it dozens of times, I can comfortably say that I love the time. The title to this post is the last line from episode 100 of the West Wing. The President, faced with an uprising in the middle east is grappling with the severity of the American response. 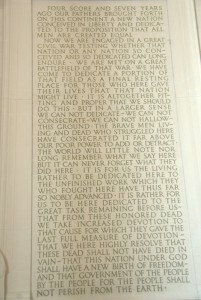 The words are the last five words from a recently dead President, who gives his ‘successor’ counsel from the grave. 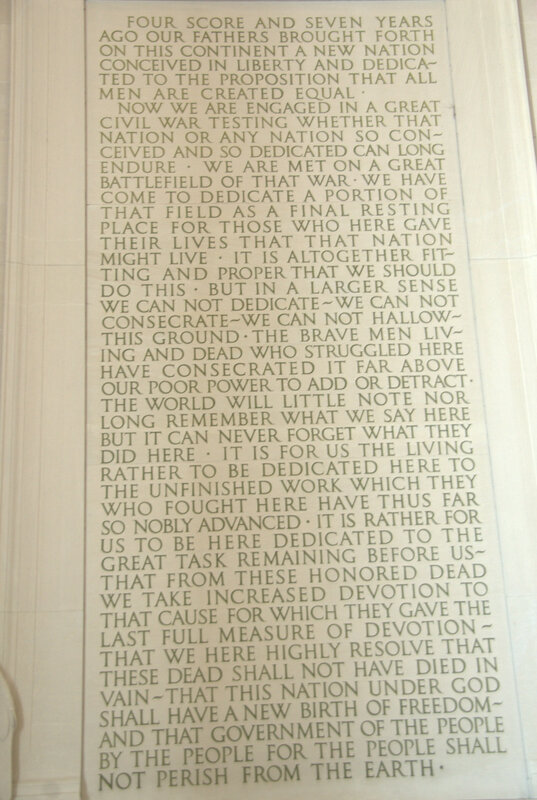 The two Presidents, past and present, are of differing politics and beliefs, of acrimony and hatred, but somehow find guidance in the words of another President from a few years ago.he two family vacations to the nation’s capital, I probably have 30-40 trips down. On most, I’ve tried to follow a routine – dinner around Dupont or Adams Morgan, brisk walk toward the White House, then Lincoln Memorial via the Vietnam War Memorial, the Korean memorial, Roosevelt then Jefferson, and finally the World War II memorial before heading back to the hotel. It takes about four hours and, when performed alone, stands for a meditative time. Having done it dozens of times, I can comfortably say that I love the time. If you have access to the West Wing episodes, go watch episode 100. You won’t need the pre or the post stories to jump in. And if you’re in DC, walk up the steps of Jefferson and Lincoln memorials, around the Roosevelt and Korean war memorials, down and up the Vietnam war and connect with the words written in granite. Forget for a moment your affinity to Fox, CNN or NPR. And before jumping to ‘the founding fathers’ excuse, reflect on the words.